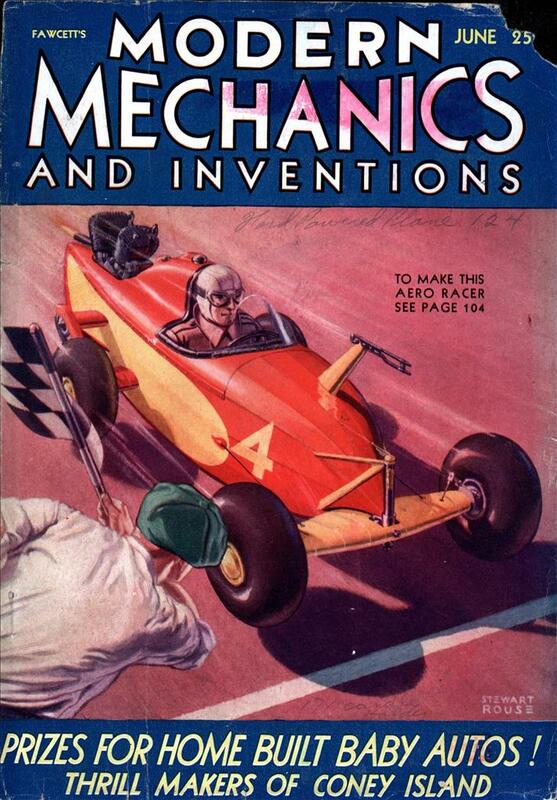 A TYPE of garage built on entirely new lines has been designed and patented by Samuel Eliot, a real estate operator and building manager of Boston, Mass. 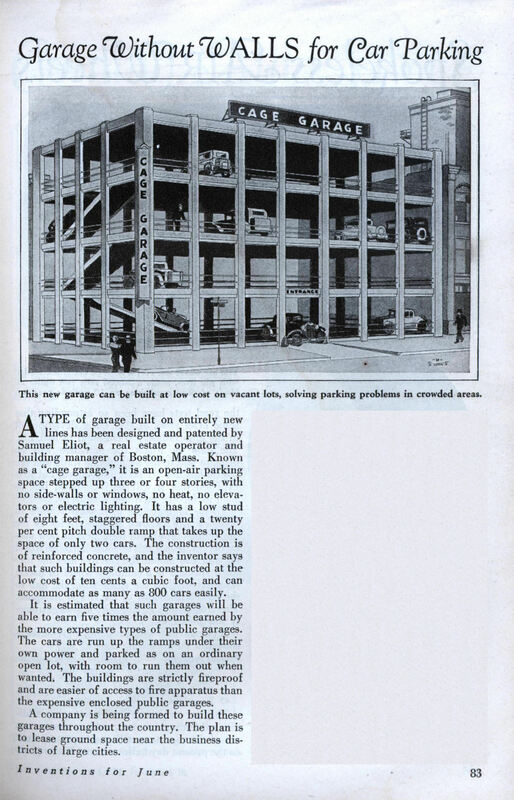 Known as a “cage garage,” it is an open-air parking space stepped up three or four stories, with no side-walls or windows, no heat, no elevators or electric lighting. It has a low stud of eight feet, staggered floors and a twenty per cent pitch double ramp that takes up the space of only two cars. The construction is of reinforced concrete, and the inventor says that such buildings can be constructed at the low cost of ten cents a cubic foot, and can accommodate as many as 800 cars easily. It is estimated that such garages will be able to earn five times the amount earned by the more expensive types of public garages. The cars are run up the ramps under their own power and parked as on an ordinary open lot, with room to run them out when wanted. The buildings are strictly fireproof and are easier of access to fire apparatus than the expensive enclosed public garages. A company is being formed to build these garages throughout the country. The plan is to lease ground space near the business districts of large cities. There’s some tight* cornering required driving those ramps according to the artist.